A fascinating marriage of contrasts. Fresh bright lemon and lime, mellow orange cling peach with slight caramelised pineapple. Emboldened wild coriander, a whirl of cardamon and a suggestion of pot pouri. The touch of new oak suggests a need for creamy moules marinieres or even juicy lemon butter Tiger prawns. After a short, cold winter and an early, warm spring the 2018 harvest arrived three weeks earlier than normal. The annual south westerly winds during November and December played a crucial role in managing our yields, keeping the bunches healthy and promoting concentration of flavours. 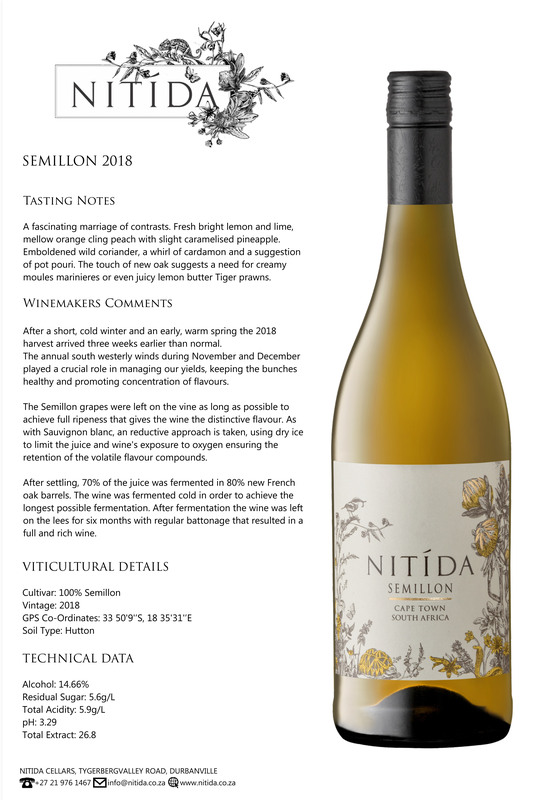 The Semillon grapes were left on the vine as long as possible to achieve full ripeness that gives the wine the distinctive flavour. As with Sauvignon blanc, a reductive approach is taken, using dry ice to limit the juice and wine’s exposure to oxygen ensuring the retention of the volatile flavour compounds. After settling, 70% of the juice was fermented in 80% new French oak barrels. The wine was fermented cold in order to achieve the longest possible fermentation and loss of flavours. After fermentation the wine was left on the lees for six months with regular battonage that resulted in a full and rich wine.